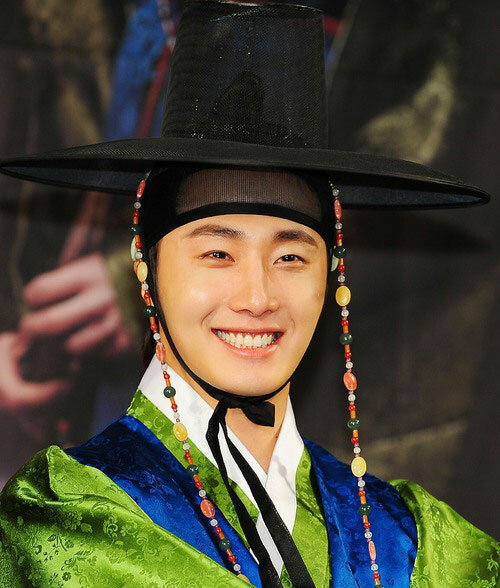 Actor Jung Il Woo was making public his dating style, provoking laughter. On January 2nd 2012, at the production press conference of new MBC Wednesday and Thursday drama series The Moon that Embraces the Sun (The Sun and the Moon) at 63 City, Yeouido, Yeongdeungpo, Seoul, Jung Il Woo responded to the question of his dating style, “It’s like nickel-silver pot,” arousing laughter. The Moon That Embraces The Sun is based on best-selling novel of the author Jung Eun Gwol who wrote the original work of Sungkyunkwan Scandal. The Moon That Embraces The Sun tells the love story between Heo Yeon Woo (played by Han Ga In) who lives a life of a female shaman and fictional king of Joseon, Lee Hwon (played by Kim Soo Hyun).